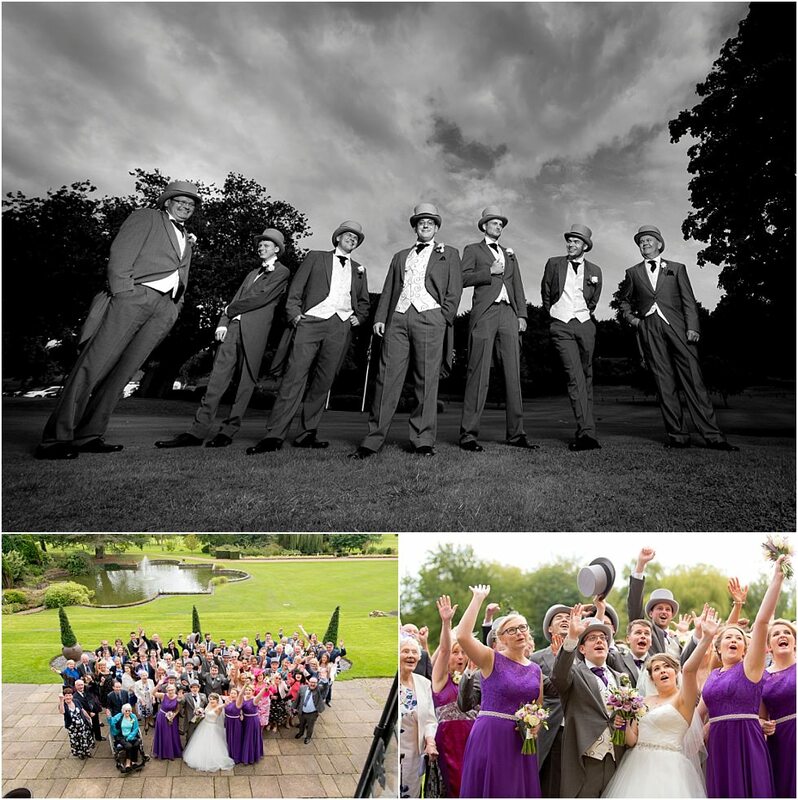 Here’s the highlights from Chris & Sarah’s awesome Breadsall Priory Wedding in Derby. 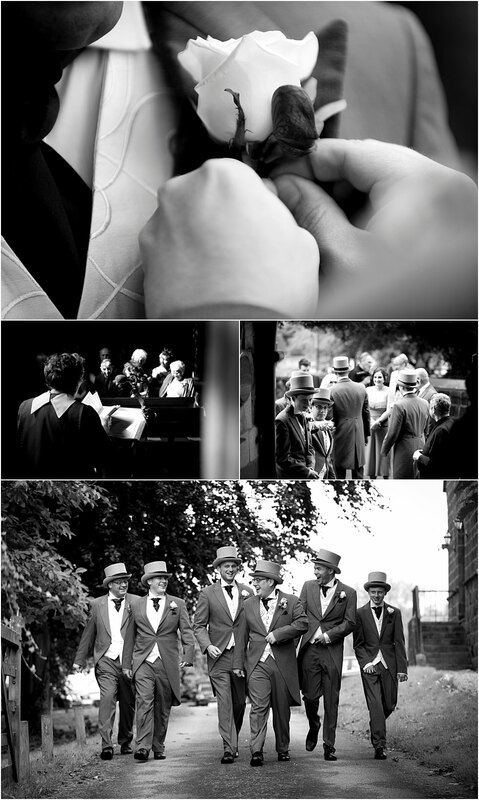 This would be my first wedding at Breadsall Priory and one I was keen on shooting. 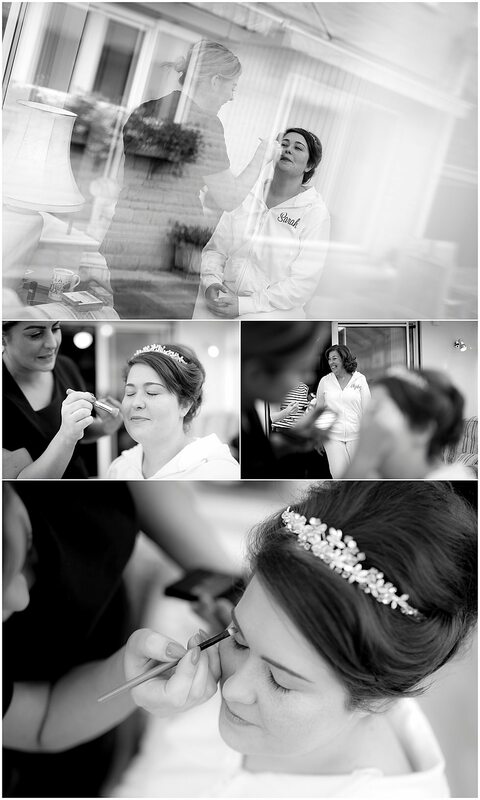 Chris & Sarah are a fun loving couple and it was great to capture all the fun and excitement of their special day. 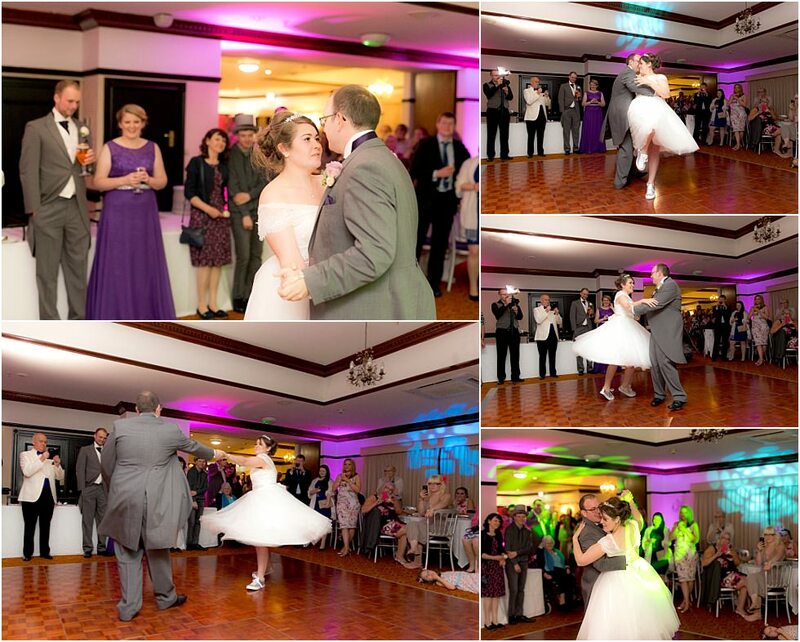 Chris & Sarah’s wedding had so much! From great weather. Rabbits out the hat. Pepper the family dog at the church. 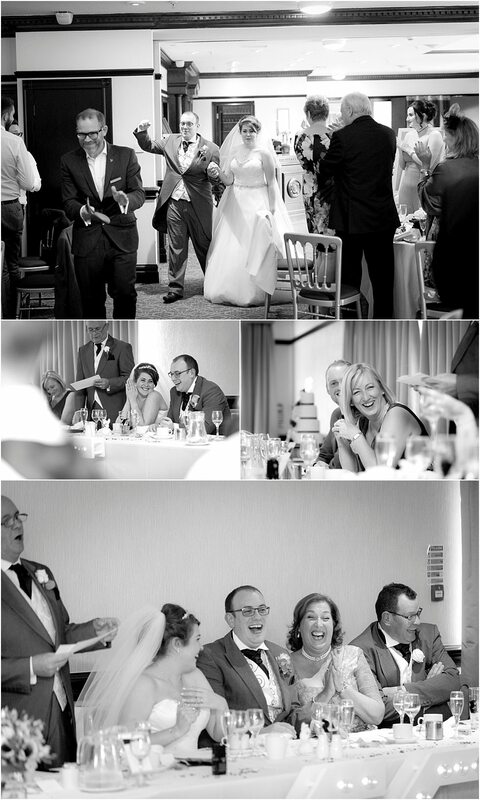 Some great speeches with a tongue in cheek video slideshow. 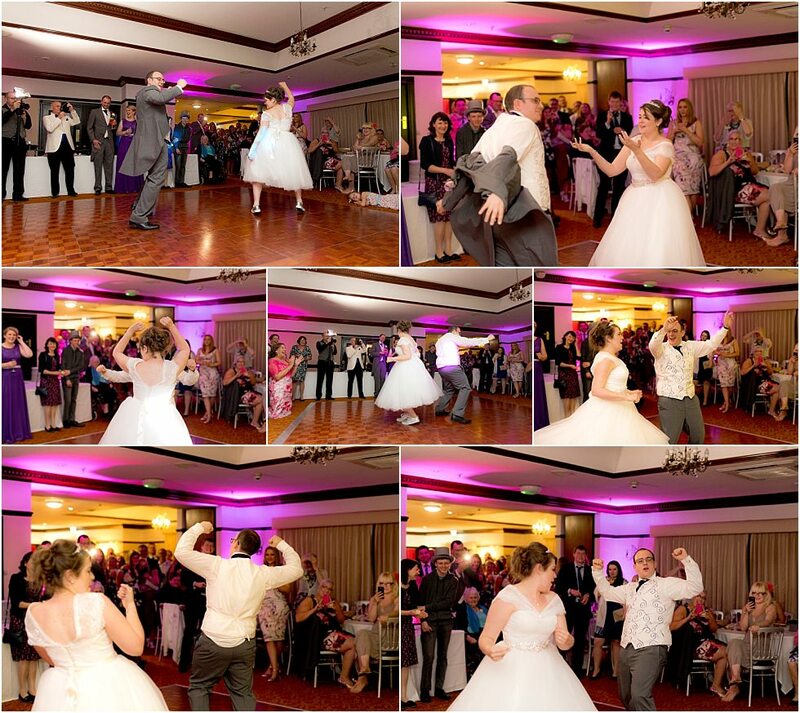 A well rehearsed choreographed first dance. 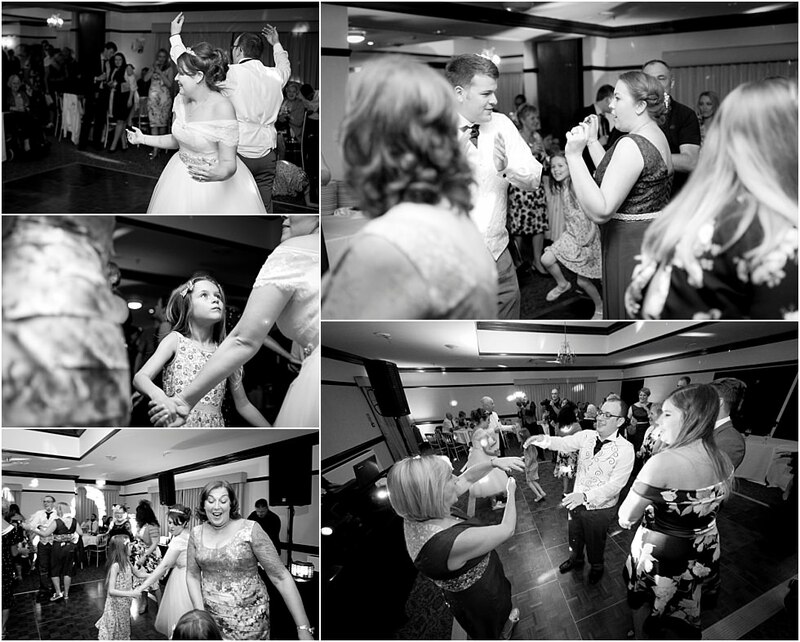 An epic sunset for B&G shots and a busy evening dancefloor! We have been together coming up to 9 years. 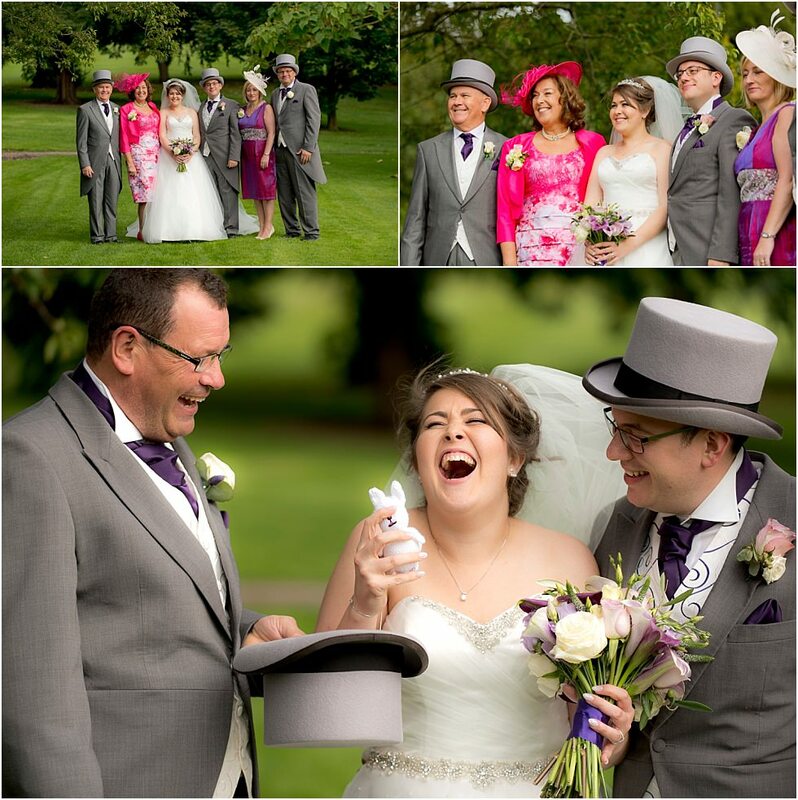 We met through Clumber Park Cricket club, but Chris’s mother knew Sarah’s parents quite a while before that. You could say it was meant to be! 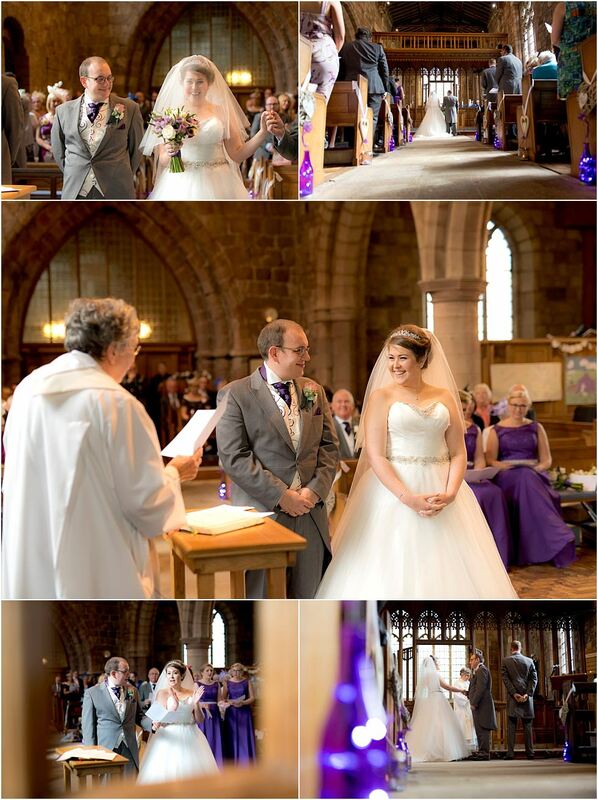 Chris proposed to me on the day before his birthday (21st August 2014). I remember rushing home after buying banners, decorations and a couple of last minute gifts. On arriving at the house, I was confused as his car was already on the drive, which was odd as he was supposed to be at work. I was slightly annoyed as he had foiled my plan to decorate the house before he got home. As I opened the door there was a note attached to the bottom of the stairs. I soon discovered it was a clue, after a few minutes I found the first gift and the next clue. I ran around the house finding clues and cute little gifts in various rooms of the house. The final clue led me to the lounge and on opening the door there was Chris, ring in hand. The most special thing for me was that it showed how much he knew me as I would be too self-conscious with a proposal in a public place. Also the fact he had picked the ring himself (which I adore). 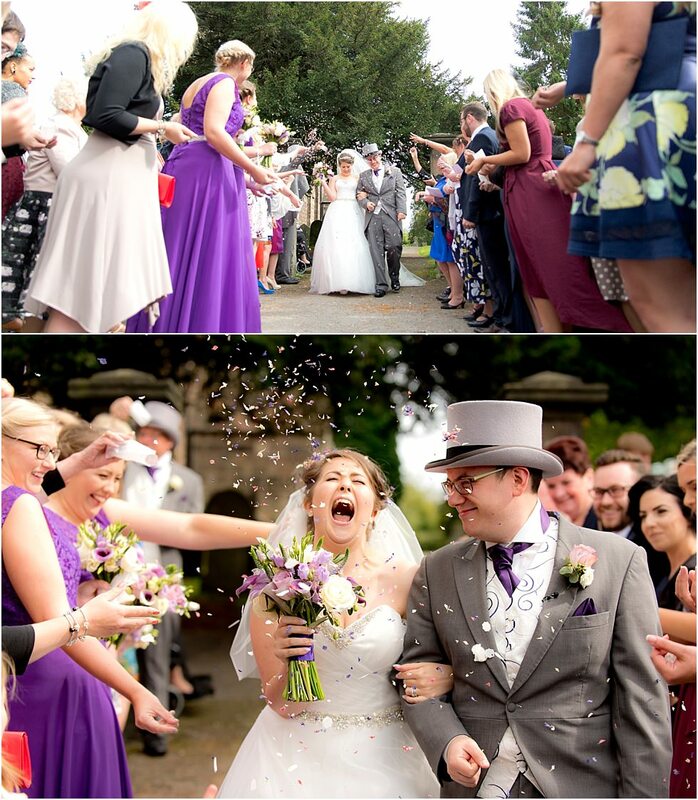 We knew that Sarah’s parents got married at the church at Breadsall, but we didn’t release how close it was until we started looking! 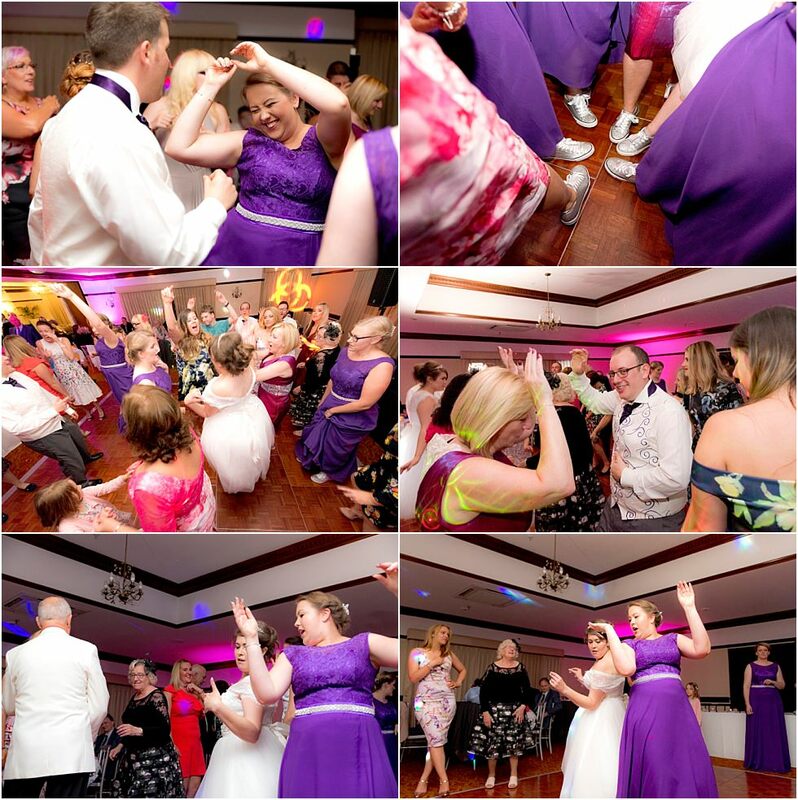 We loved the connection, making it an even more special venue for the day. For the reception we always wanted something grand and impressive. 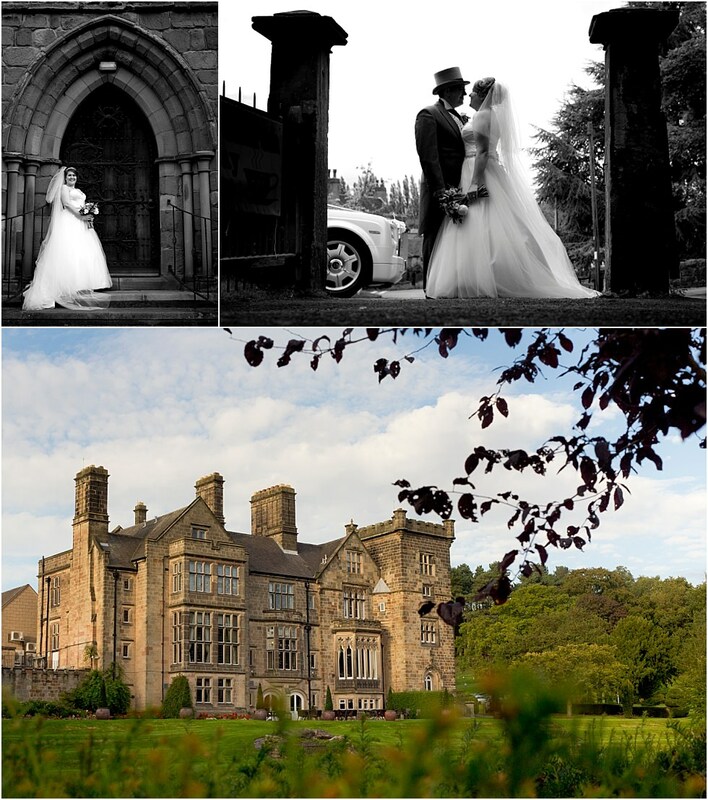 A Breadsall Priory wedding was ideal as it was just down the road from the church, and had the wow factor we were looking for! 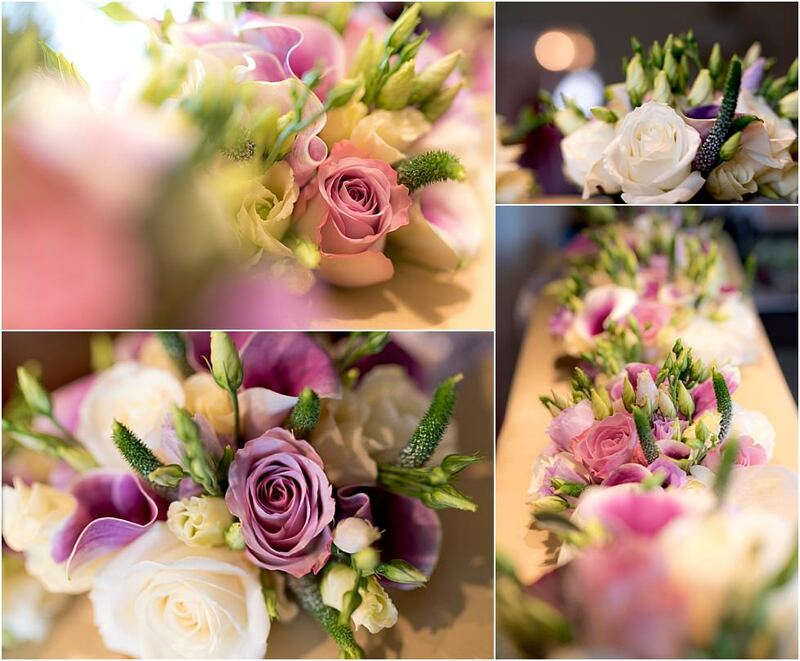 Colour scheme/theme/style: If anyone has even been to our house, there is an obvious love of Sarahs favourite colour, purple! 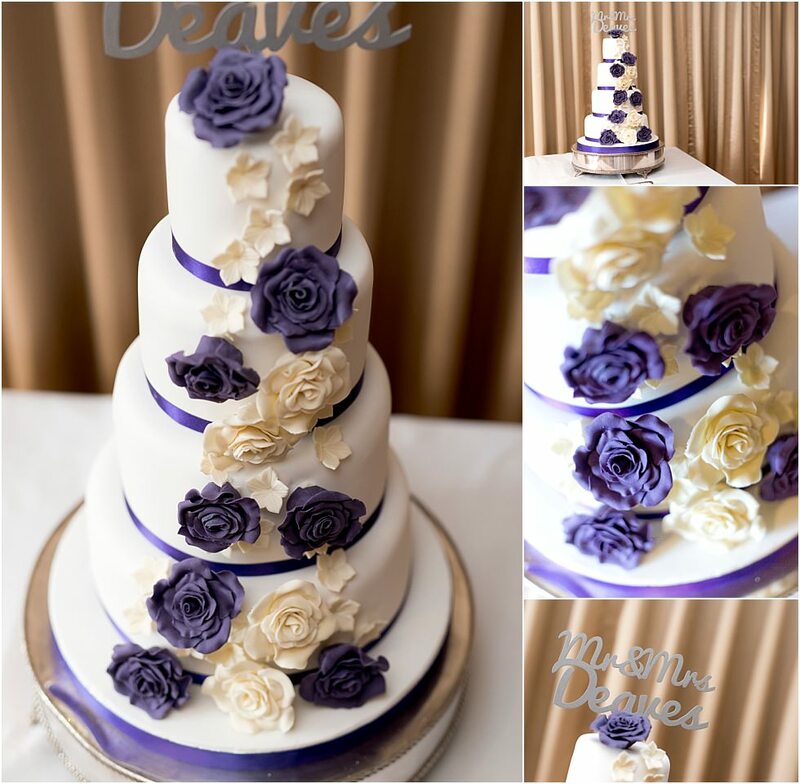 With this (and a love of chocolate) we decided on the theme of Cadburys purple. 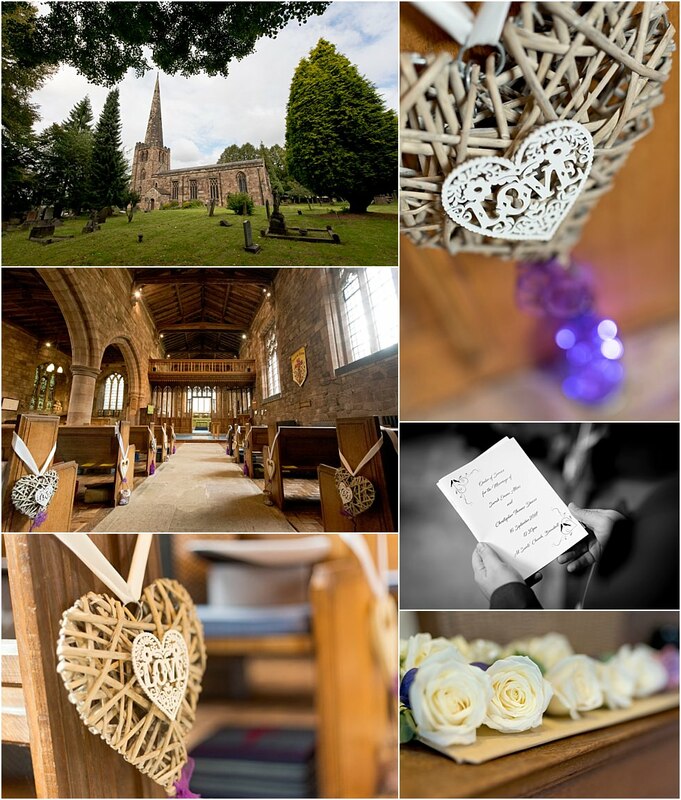 We also have a fondness for all things wooden! 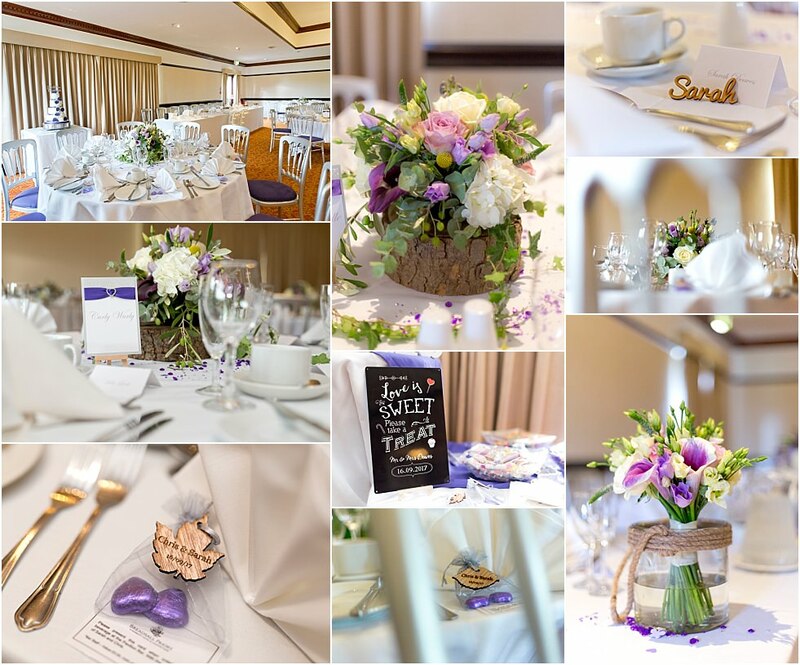 We managed to encompass within the theme with the favours and table decorations, as this also ties back to our love of Clumber Park! Chris: When I saw Sarah’s Grandma pop into the church, that’s when I knew Sarah was there and that it was all about to happen. 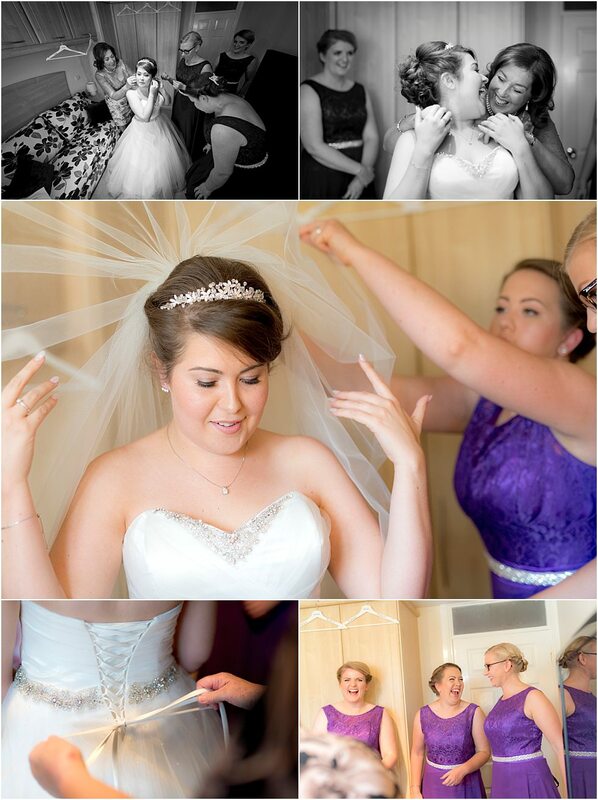 This is followed by (quite cliché) seeing Sarah for the first time at the alter in the stunning white dress, just wow. I remember looking up and seeing the sun shining through the widows, I knew it was just right! Sarah: When I arrived at the church, me, my dad and the bridesmaids were all waiting in the lobby of the church before we walked up the aisle. 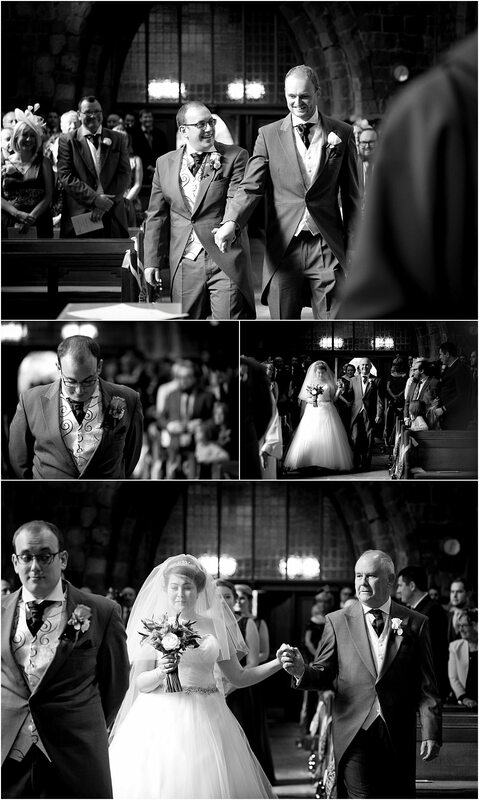 I remember feeling a massive pang of excitement as the organ started up and I could see Chris at the end waiting and being very controlled and not looking back at me until I got to the alter. 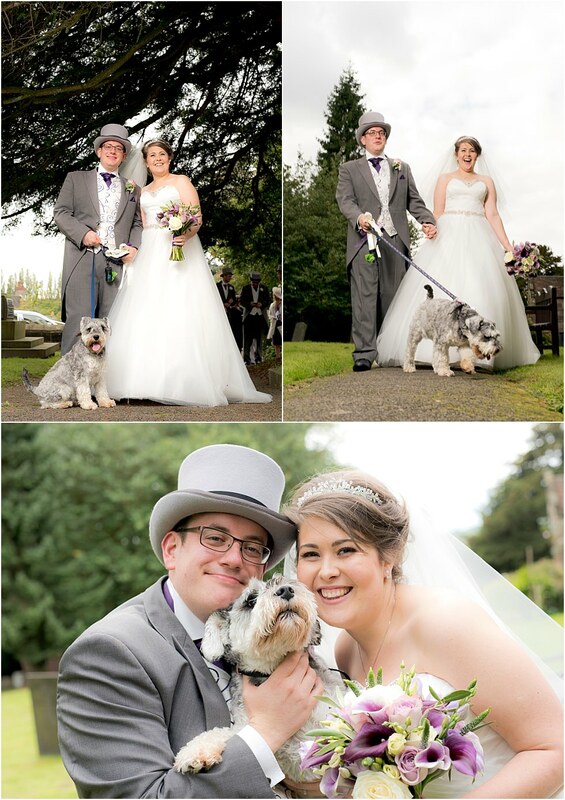 It was also a massive highlight that Pepper (our dog) could come to the church and be part of the day, she is such an important part of our lives and relationship it wouldn’t have felt a complete day without her! Try and do lots of the little things yourself, as it will be enjoyable and save you money! 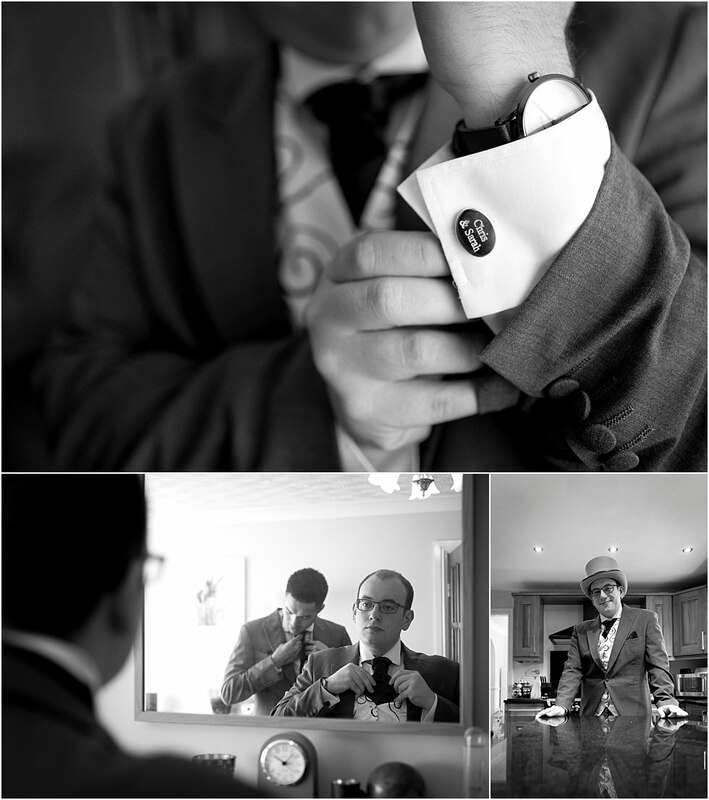 For example, we got all the things for the favours separately and put them all together ourselves, which turned out to be an enjoyable couple of hours and really felt like things were coming together. 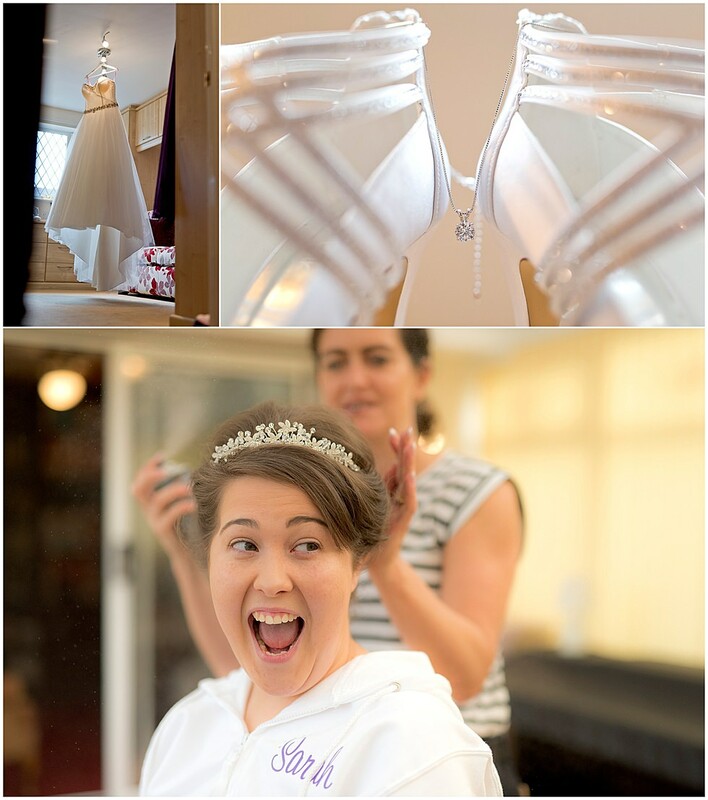 We also asked members of both sides of the family to get involved in creating things for the wedding. Chris’ Grandpa made us some amazing marquee letters. We could have hired those letters but it wouldn’t have been as special and we couldn’t have kept them afterwards. They are now in pride of place in our dining room to remind us of our big day! 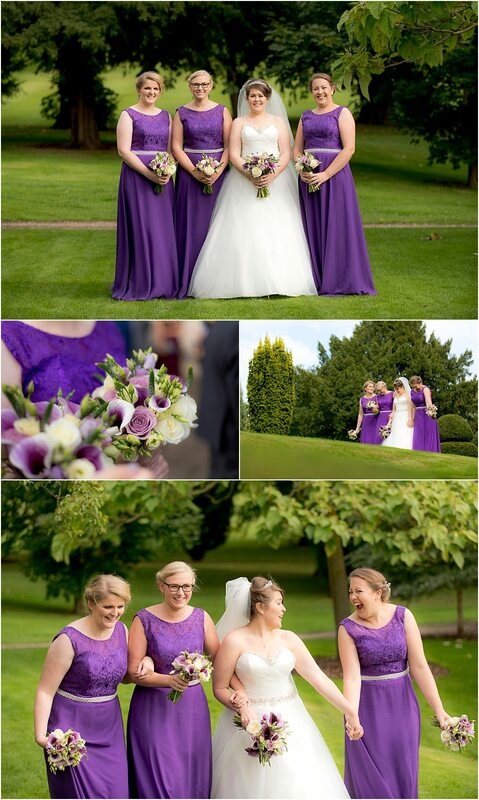 Dresses: Sarah ceremony dress: Celebrations of Bawtry / Sarah evening dress and Bridesmaids: House of Oliver. 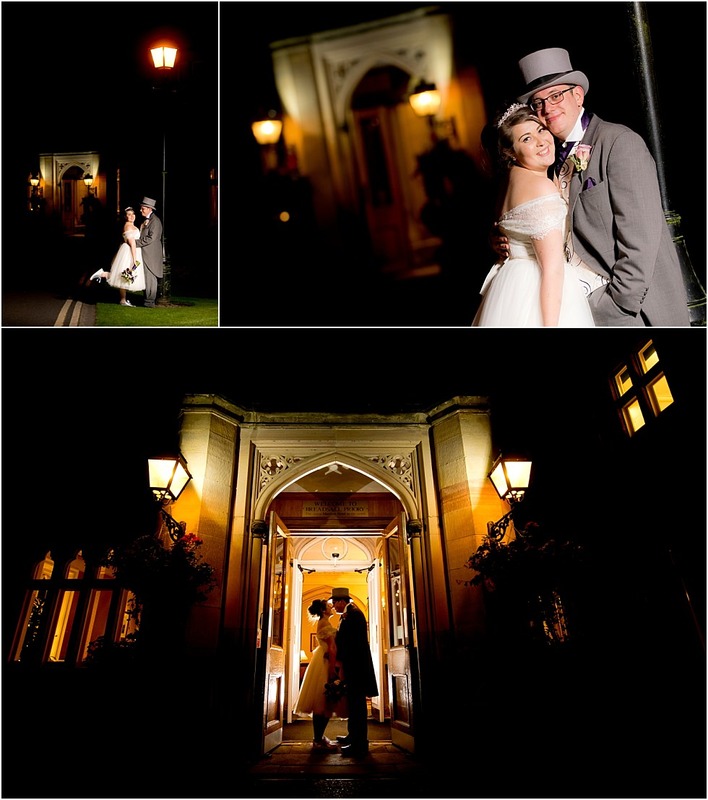 Thanks for viewing the highlights from Chris & Sarah’s Breadsall Priory Wedding, Derby. If you found this post useful do spread the love & like/share. 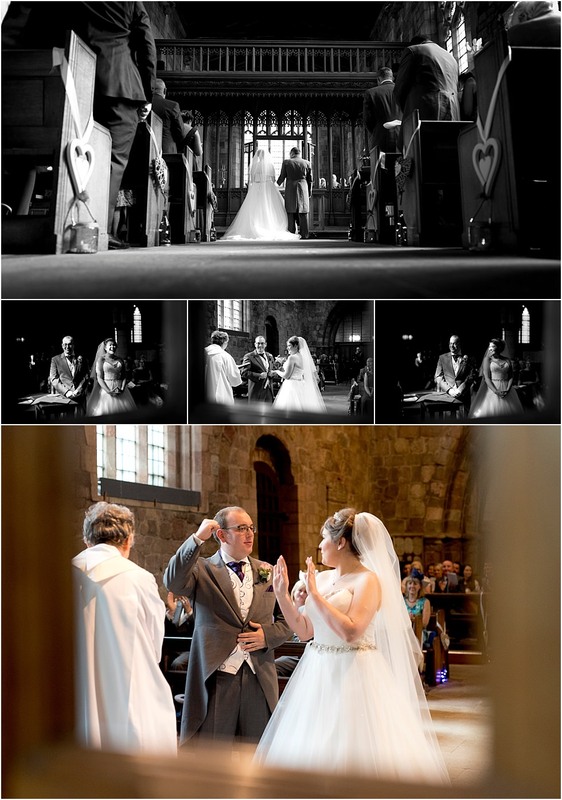 If you’re looking for a Wedding Photographer in Derby simply drop me a line with your wedding date or arrange a time to pop into the studio for a chat!